If you couldn’t find you ideal trip with our tour packages? Or want to modify any of the existing tours on our site? Just tell us what’s on your mind and we will arrange a tour for you. To help us know your travel preferences, choice of destinations, activities etc., please fill in the following form with as much details as possible. 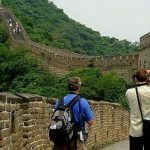 Into China Travel will contact you within one work day. We require an English speaking guide and transport. Appreciate your revert on itinerary/rate. Pls reply ASAP. Thank you. This is Peter Wang, sales manager of Intochinatravel. I will send you an itinerary including all tourists you mentioned. 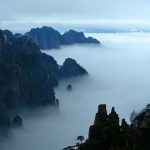 In order to enjoy the sunset of Mutianyu, we will make it the last stop. We are three teens (early-20s) and are interested in the tour SC02, however, our available dates are just from 6 May to 24 May (19 days). Any recommendations for our trip? And we would also like to inquire about the cost of the trip. Thanks. Thanks for your interest in the tour. I have customized a 19 day tour for you and already sent to you with details. Please check it and let me me know if you have any question. I have tried to email through an inquiry but it has been rejected twice. 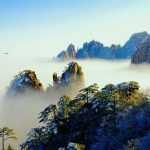 Can you please send me a quote for 2 people for the tour 3 Days Huangshan Tour from Shanghai departing on the 15th April from Shanghai. We would be looking at budget accommodation. We do not have any special food requirements. Also, would the price change if the departure date changed +/- 1 day? Hi Katie, one of our trip advisors will help you with the tour booking. Good day！ – BR Sophie Chai.